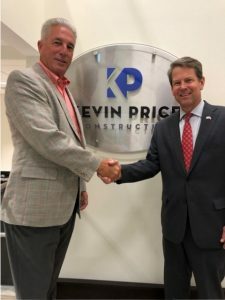 On Thursday July 19, 2018, Kevin Price hosted Brian Kemp’s campaign for a fundraiser in our office building. We enjoyed a successful fundraiser with many supporters for Mr. Kemp joining us for a nice evening. Kevin wishes Brian Kemp the best of luck in tomorrow’s election!